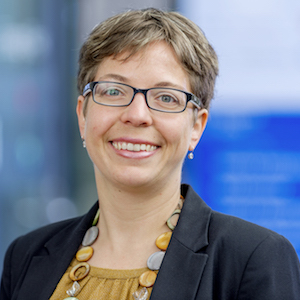 Dr Stefanie Walter is professor for international relations and political economy at the department of political science at the University of Zurich. She received her PhD in political science from ETH Zurich for a dissertation on the political economy of currency crises. Before joining the faculty at the University of Zurich in 2013, she was a Fritz-Thyssen-Fellow at the Weatherhead Center for International Affairs at Harvard University and junior professor for international and comparative political economy at the University of Heidelberg. Her research in international and comparative political economy examines distributional conflicts, political preferences and economic policy outcomes related to globalisation, European integration, and financial crises. Current projects examine the mass politics of international disintegration, the political economy of the euro crisis, and the effects of globalisation and financial crises on individuals’ political preferences. Stefanie Walter’s work has been published inter alia in the Annual Review of Political Science, Comparative Political Studies, European Journal of Political Research, International Organisation, International Studies Quarterly, and Political Science Research and Methods. She is the author of Financial Crises and the Politics of Macroeconomic Adjustments (2013, Cambridge University Press) and co-editor of a special issue on the political economy of the Eurozone Crisis (2016, Comparative Political Studies, with Mark Copelovitch and Jeffry Frieden).